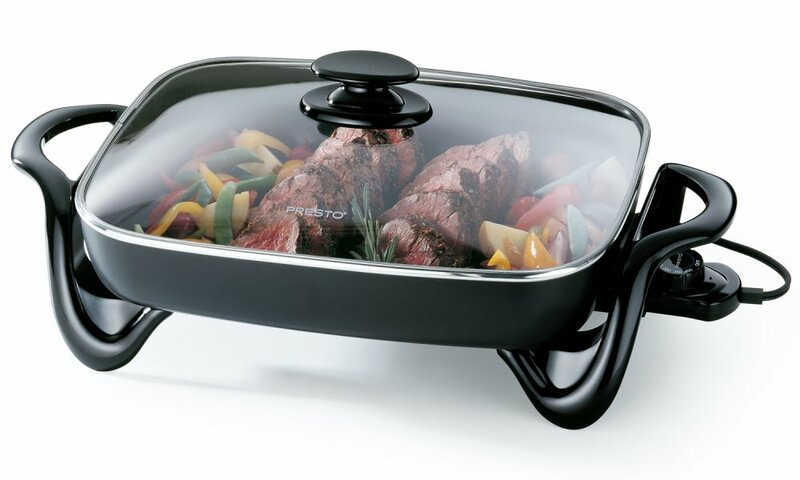 Big 16-inch base and high side walls provide extra cooking and serving capacity. Luxurious styling and a tempered glass cover enable this skillet to double as a buffet server when entertaining. Tempered glass cover allows you to see what’s inside. Great for use as a buffet server when entertaining. Fully immersible and dishwasher safe for easy cleaning.